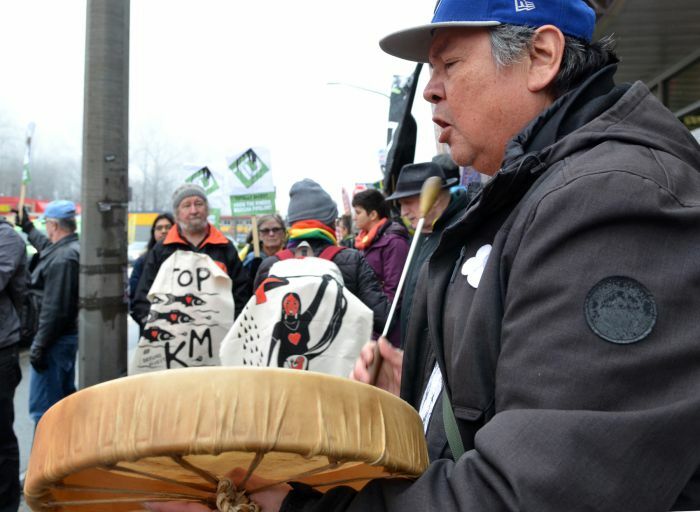 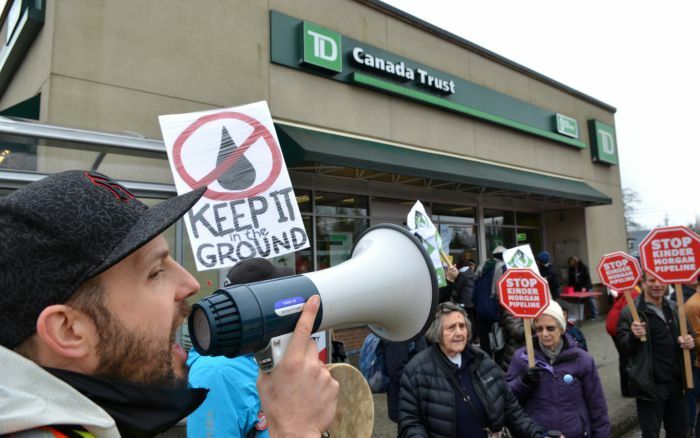 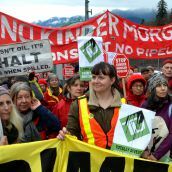 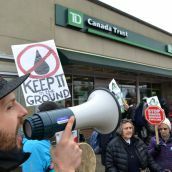 UNCEDED COAST SALISH TERRITORY - Anti-pipeline groups rallied outside a TD Bank and the Kinder Morgan Westbridge Marine Terminal yesterday. 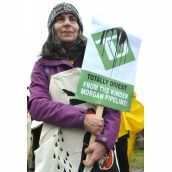 The TD was targeted for its investment in Texas-based KM's expansion of its TransMountain bitumen pipeline to the Pacific coast. 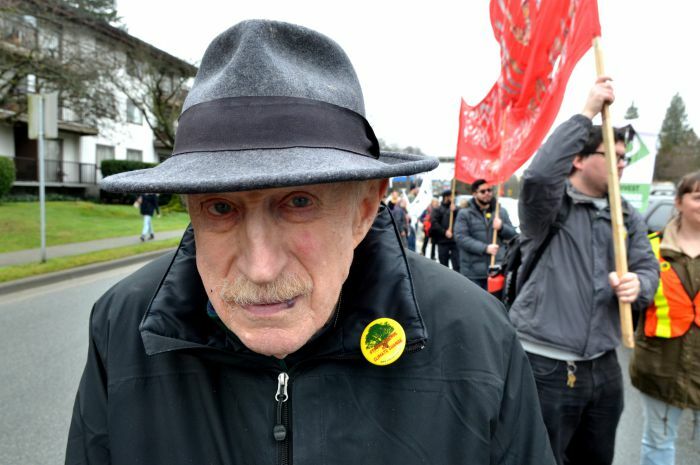 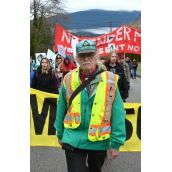 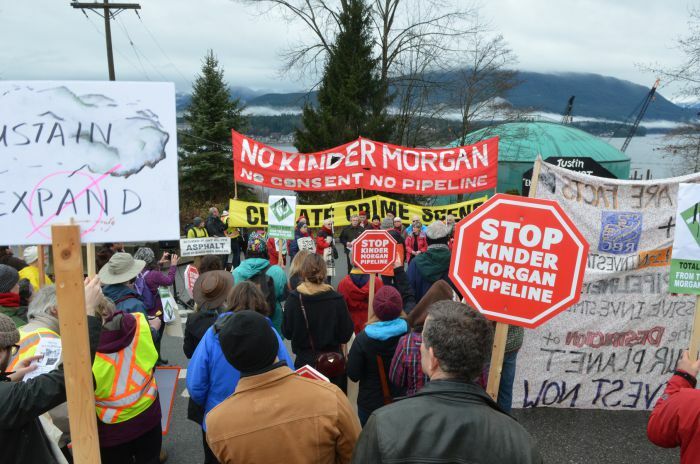 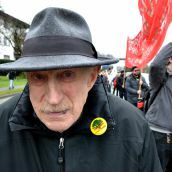 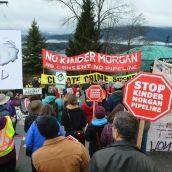 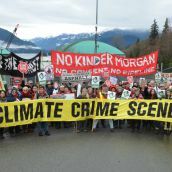 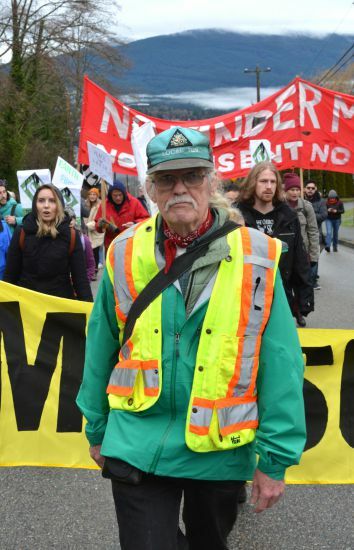 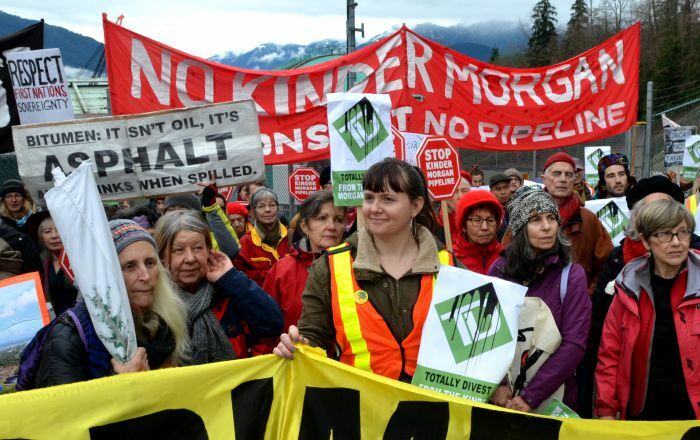 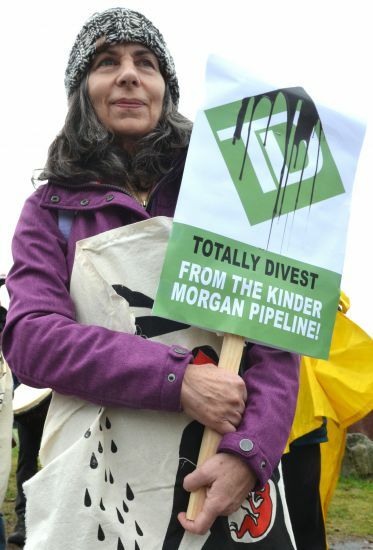 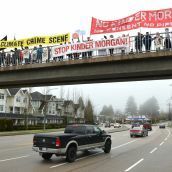 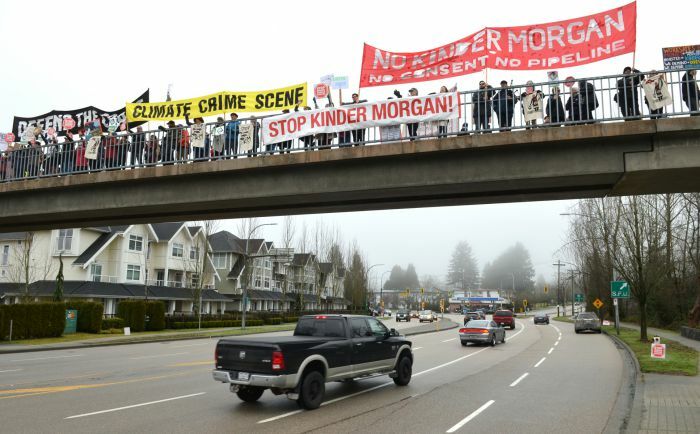 The event was organized by Vancouver350, Burnaby Residents Opposed to Kinder Morgan Expansion and The Wilderness Committee. 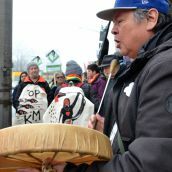 RCMP violently arrested two elders from the nearby Camp Cloud KM Surveillance Camp earlier this week.